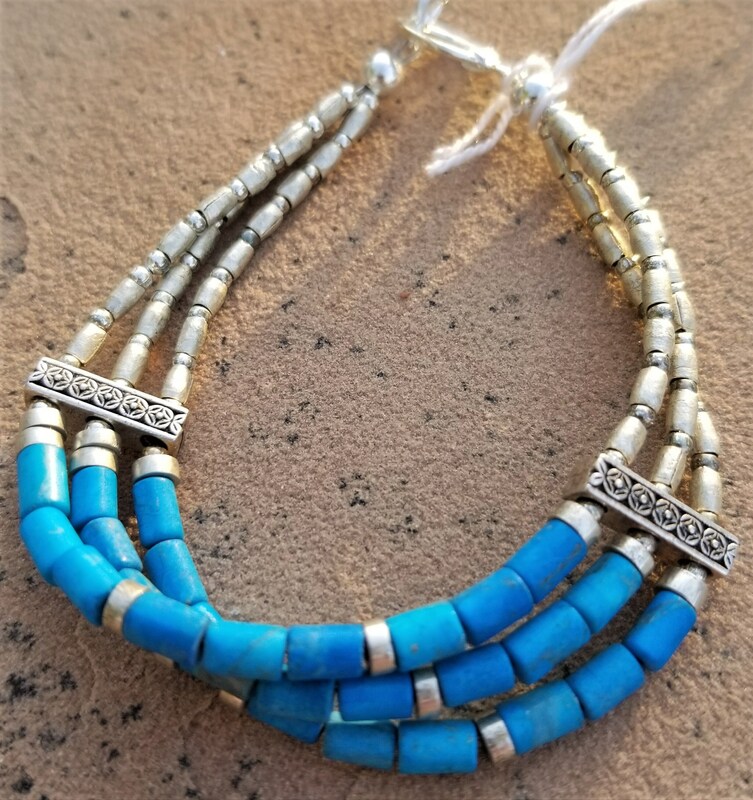 Three strands of pure Southwest style to adorn you wrist. 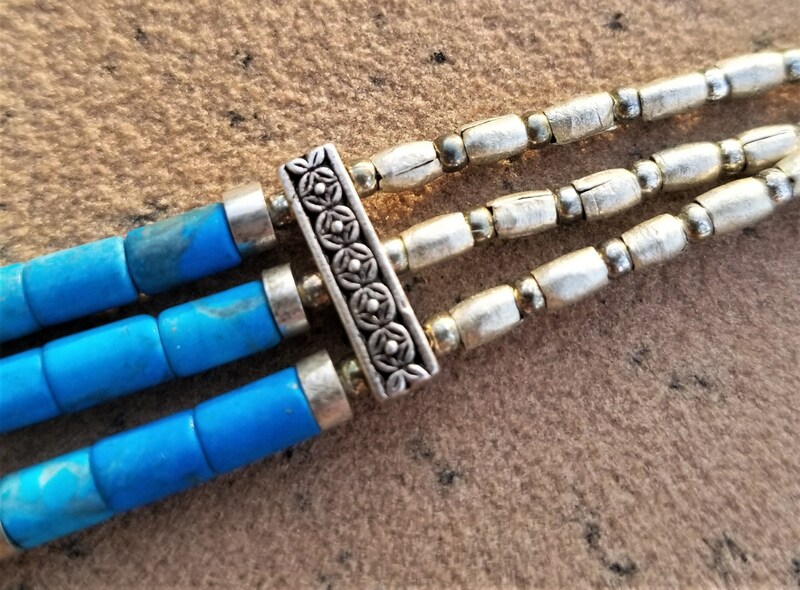 Brilliant blue turquoise set off with African silver beads. 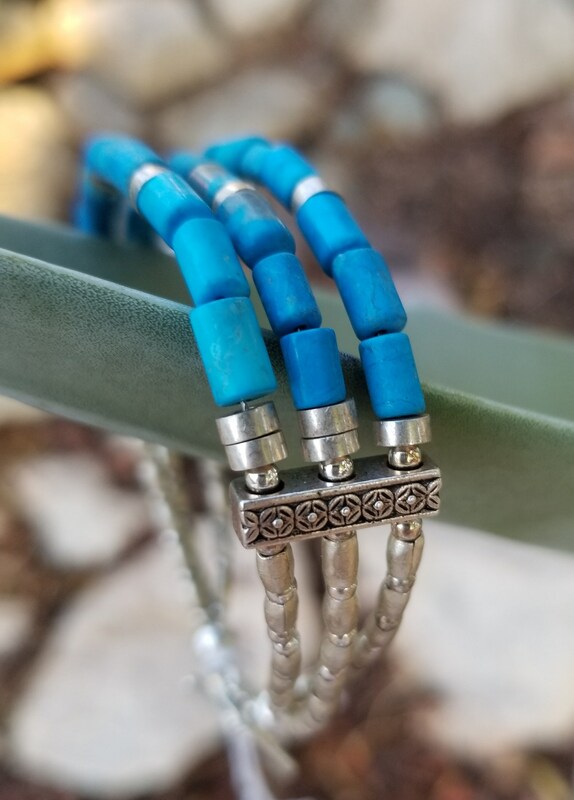 A very comfortable bracelet that'll make you feel like you're in the desert.